Libraries are an aspect of your university that will directly impact students every day. Make the most of that impact. 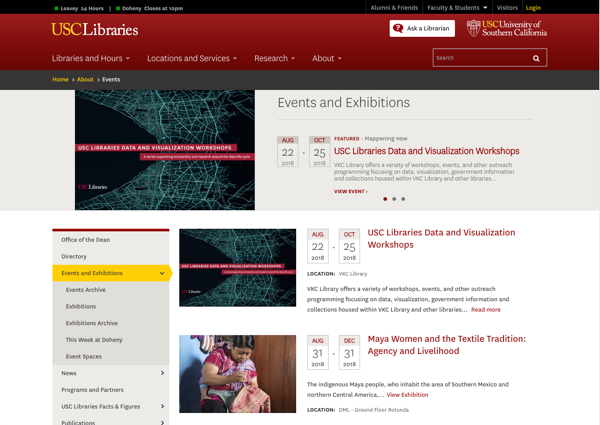 Tying together all the databases, catalogs and searches is crucial to the usefulness of your library site. 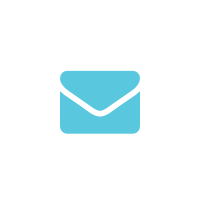 Students want to see a seamless interface of all the content availible to them. Students don't want to hunt for resources spread out all over the site. 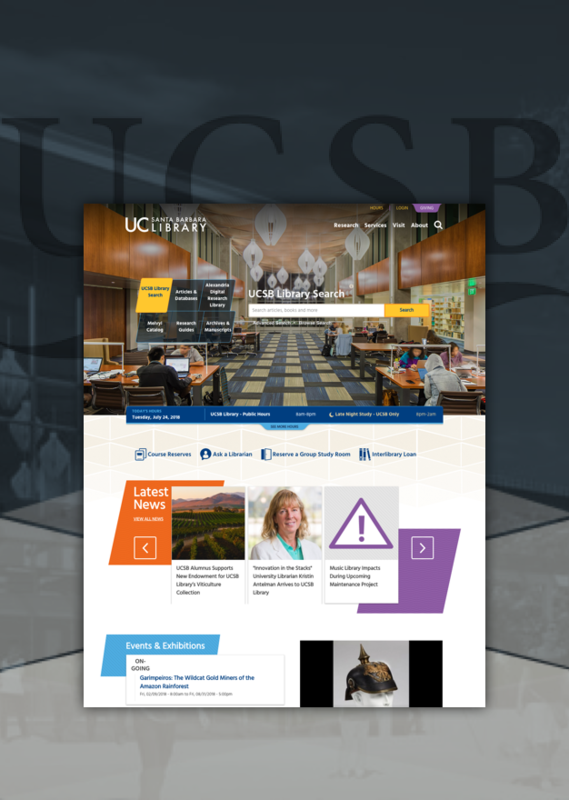 We built a site to match UCSB's elegant and modern library. Libraries aren't just a place to quietly read anymore. They serve as a hub of student collaboration, events and arts. Whether students are attending an art exhibition, reserving a study room or looking for a printer, your website needs to be able to serve them. 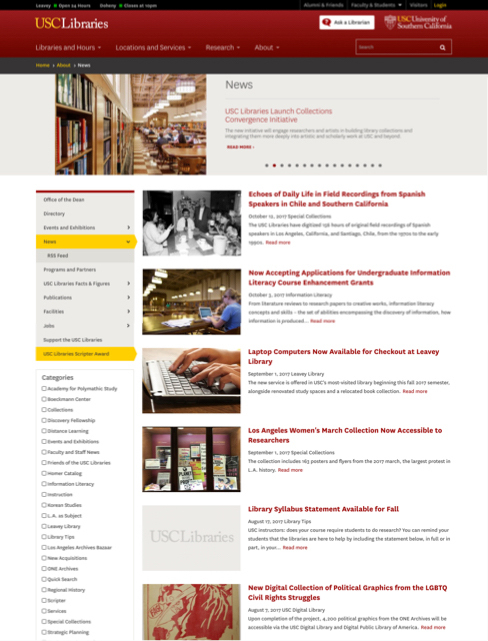 Modern library sites need to bridge the web and in-school experience. Making it easy for students to find the content they need is our top priority. 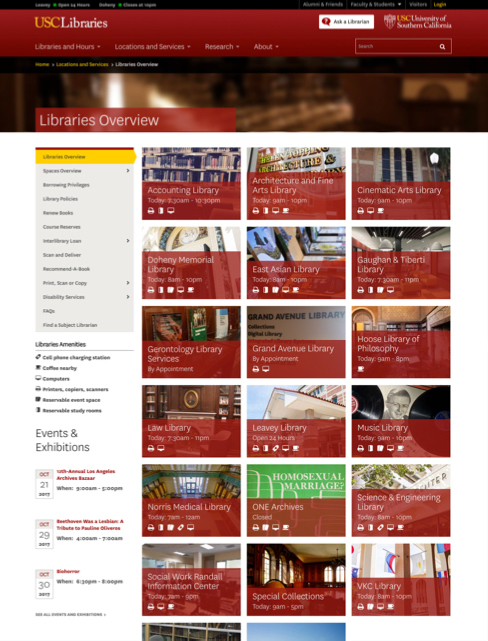 We've worked on library only projects, as well as countless tandem redesigns of the main university and library sites. 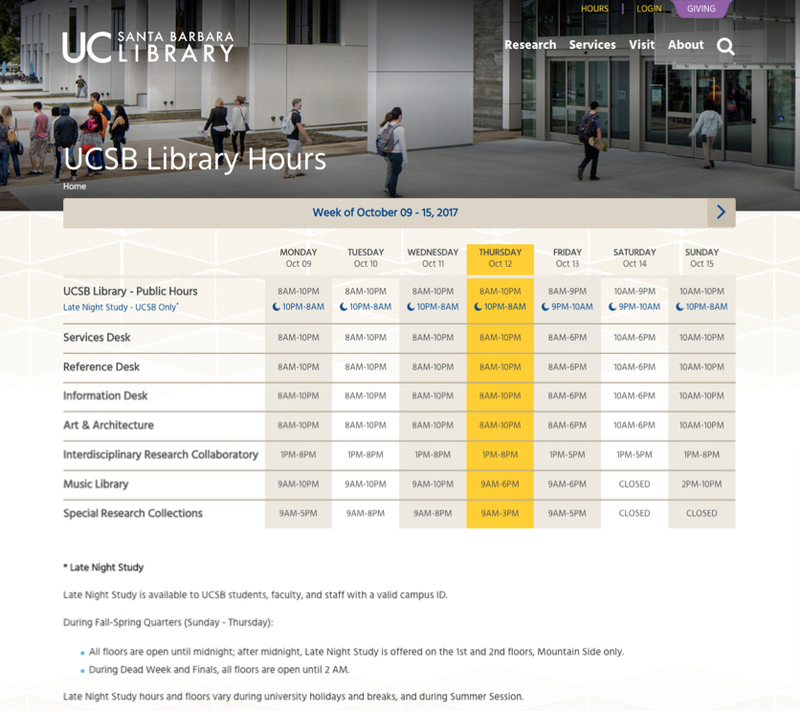 Libraries are complex and require their own unique solution for the best user experience.